IT WAS the showdown that nobody saw coming. The 'battle of the catwalk', the 'fashion fight of the year', 'the glamour versus the icon'. 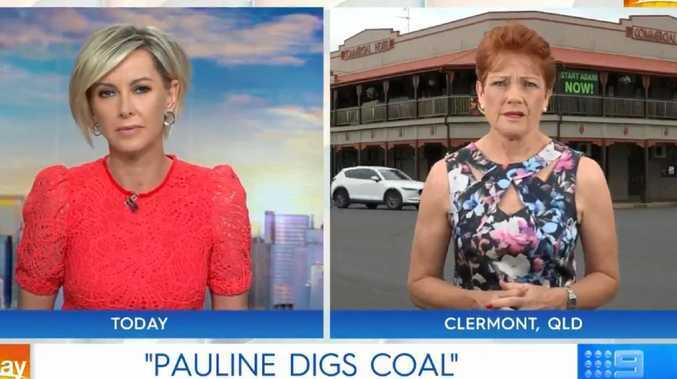 The queen of fashion taking on, well, the Queen. 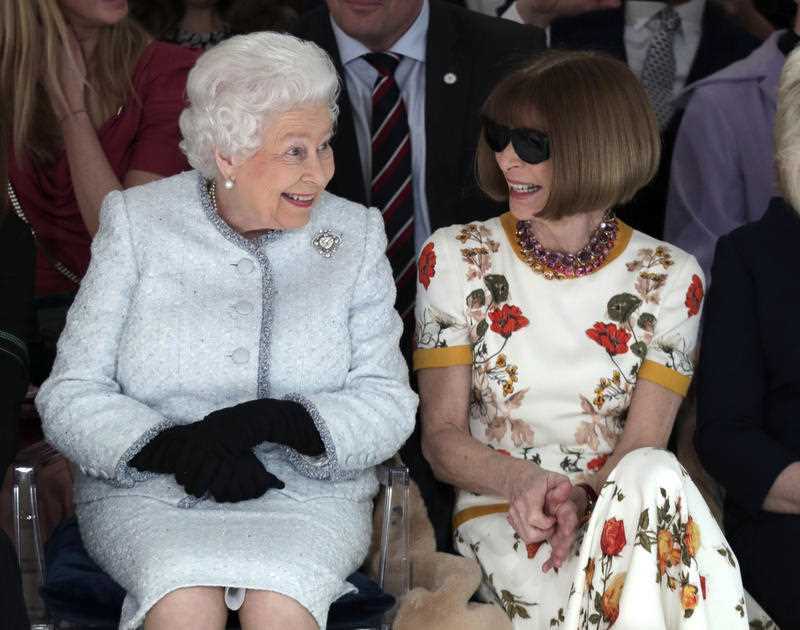 Queen Elizabeth II went head-to-head against American Vogue chief editor Anna Wintour when the two sat side-by-side in the front row of London Fashion Week. Making her visit to the event to present an award for British design excellence, the 91-year-old monarch wore an Angela Kelly duck blue tweed dress and jacket detailed with tiny Swarovski crystals. Meanwhile, Wintour, upped the ante with a full length, summer-inspired dress matched accompanied by her signature dark sunglasses. Britain's Queen Elizabeth sits next to fashion editor Anna Wintour as they view Richard Quinn's runway show before presenting him with the inaugural Queen Elizabeth II Award for British Design. The two high profile guests took some of the spotlight away from the models strutting down the catwalk as they battled for supremacy for the flash of the event's photographers. But who claimed victory is anyone's guess. However, what wasn't up in the air was the winner of the first Queen Elizabeth II Award for British Design: London-born Richard Quinn. "As a tribute to the industry, and as my legacy to all those who have contributed to British fashion, I would like to present this award for new, young talent," said the Queen. "From the tweed of the Hebrides to Nottingham lace, and of course Carnaby Street, our fashion industry has been renowned for outstanding craftsmanship for many years, and continues to produce world-class textiles and cutting edge, practical designs."